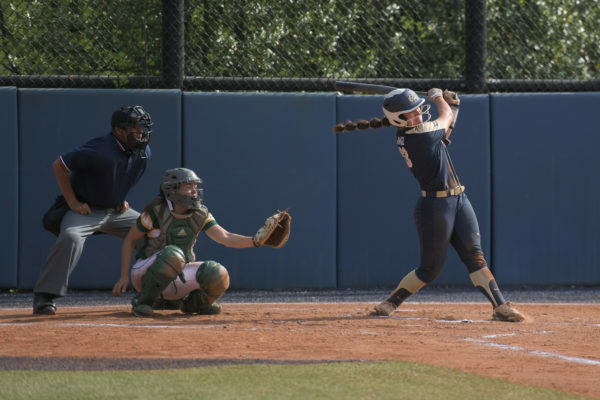 Freshman utility Pierce Deamer shoots the ball earlier in the season. 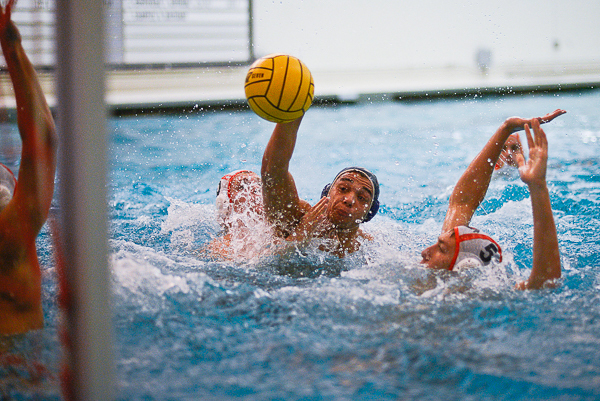 The success of the water polo team has hinged on their defensive performance. Last fall, men’s water polo took a turn for the worse when it embarked on an annual California road trip. This year, the Colonials left for the trip hoping to turn their season around. GW began its West Coast swing Thursday looking to stop the bleeding from a four-game losing streak. But it took three more losses for the team to clamp down on defense and finally snap their skid, beating Caltech and Occidental after dropping games to Cal Baptist, Claremont-Mudd-Scripps and No. 16 Whittier. When the Colonials’ losing streak began, they were ranked as high as No. 18. That included a perfect 4-0 weekend at the Bison Invitational, where they outscored their opponents 59-20. Those were the results the team was looking for in the preseason, especially on defense. “We’ve had some guys not stick to the gameplans and lose their heads. And I’m one of them,” senior Brian Mojica said. After giving up an average of 13 points per game over the losing streak, GW held Caltech to just four points and Occidental to seven, winning 17-4 and 10-7, respectively. GW has won nearly every game in which the team has held opponents to 10 points or less. With the exception of a 19-18 overtime thriller, in which GW beat then-No. 12 Saint Francis, 10 has been the magic number, and GW has won by shutting down opponents, not just outscoring them. Petkovic, considered an anchor on defense, was quick to highlight the lack of a team strategy on defense. Rather, he said, the Colonials are focused too much on pressure instead of holding a zone defense, which leaves some of the opposition’s best offensive players wide open in transition. GW has given up double-digit goals in every game during the losing streak. The Colonials did not give up more than seven at the Bison Invitational. Head coach Scott Reed echoed Petkovic’s concerns in an interview last week, and also said the team was not capitalizing on easy opportunities and was getting sloppy in areas in which they normally excel. Despite experiencing a 3-9 streak that began in the middle of last season, Reed said he does not think this year and last year are similar. Key injuries, including a concussion for Mojica, stunted the Colonials early success last season. This year, defense and mental mistakes are what’s holding back the team. Both Reed and Mojica said they saw the West Coast road trip as a way to get back to the basics. Eventually, the team did against Caltech and Occidental, but the seven-game losing streak leaves questions about GW’s foundation going into the last stretch of conference games before the Collegiate Water Polo Association’s Southern Division Championship. The team returns to the Smith Center pool Saturday for a game against Johns Hopkins at 7 p.m. This article appeared in the October 6, 2014 issue of the Hatchet.